Every year I do a Spoon River Drive article highlighting natural items for you to look for while on the drive. In honor of OAKtober, this year's spotlight is oaks. The Morton Arboretum news says oak ecosystems have been a significant part of the Illinois landscape for more than 5,000 years and are now in a state of threat and decline across the entire State of Illinois. Oaks represent strength and stature. 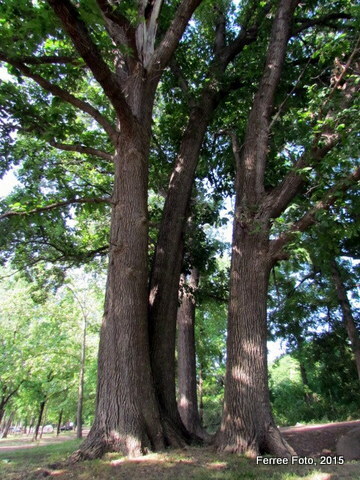 In fact, the white oak is the Illinois State Tree. Majestic oaks create a sense of awe and wonder. These trees work for us by cleaning our air and water, reducing ambient air temperature and usage of energy. They reduce flooding and support our native wildlife. Our oaks, and trees in general, improve our well-being and support a sense of community. 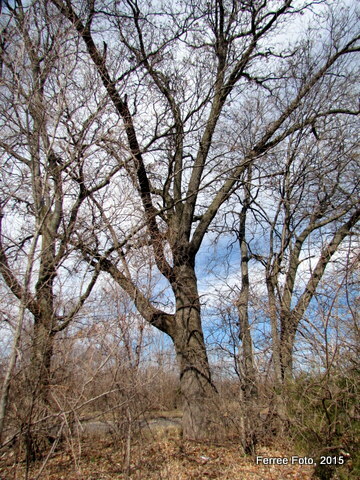 You will see many oaks along the Spoon River Drive route. 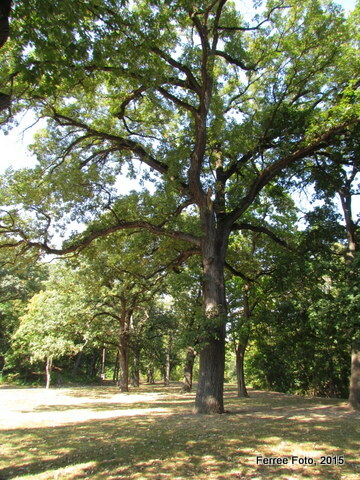 There are 20 oak species native to Illinois. White oak, bur oak, shingle oak, red oak, swamp white oak, pin oak, black oak, and amore are commonly found in Central Illinois. 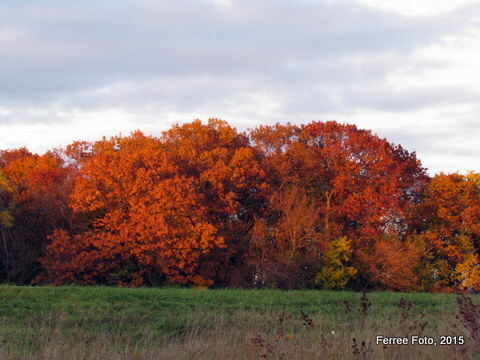 Most oaks turn a red, red-brown, or yellow-brown color in the fall. White oaks and pin oaks usually turn bright red, while red oak leaves change to yellow-brown and shingle oak to a dull brown. 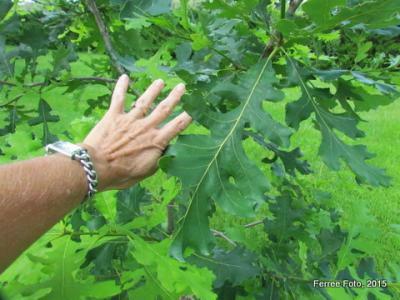 You've probably noticed that some oak trees tend to hold their leaves all winter long. They rattle and shake with January winds, holding strong to summer's leaves. 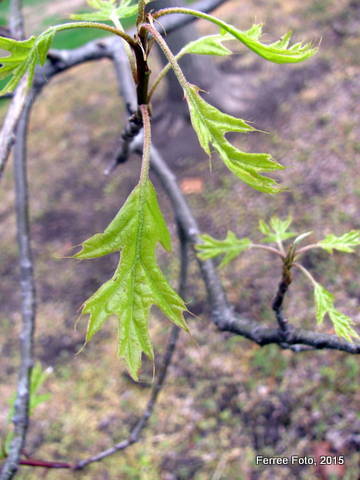 Marcescence, the term used to describe leaf retention, is most common with many of the oak species, American beech, witch hazel, hornbeam, and ironwood. Although it is not clear why this happens, some speculate that holding leaves through winter helps trees living in dry, cold, deer-infested environments. Oaks are very useful trees. In addition to being a prized timber trees, more than 100 species of animals are known to consume their acorns, including mammals such as white-tailed deer, squirrels, mice, voles, rabbits, raccoons, opossums, and foxes. Birds that feed on acorns include wild turkey, bobwhite quail, wood ducks, mallards, woodpeckers, crows, and jays. Enjoy the beautiful oaks around you on this year's Spoon River Drive!